11:1 Be imitators of me, as I am of the Meshiha (messenger, words from God to you). 11:2 But I commend you, my brethren, that in every thing you remember me; and that as I have delivered to you precepts, you hold them. precepts >>a general rule intended to regulate behavior or thought. 11:3 But I would that you know that the Meshiha is the head of every man; and the head of the woman is the man, and the head of the Meshiha is Aloha (God). The words of God (Meshiha) are in the head of every man; (semicolon )>>the head of the woman is the man ( Words of God are as strong as a man) the strength of the words are from God. After the conjunction and this is talking to the woman ie…. she finish him–she covers the man from the words of God. 11:4 Every man who prayeth or prophesieth having his head covered, dishonoureth his head. Second, many misunderstand male leadership as God designed it; it’s not a glorified position, it’s the position of a servant. A servant is called to protect, lead, and guard the church. Men are given the positions of pastors and elders because God gave them the role of leading and dying for their family and the church. I believe that Christ coming into the world as a man was strategic for this very reason: to lead, shepherd, and die for…..Nowhere in the Aramaic text Old or New Testament that it tells me to die for the church. I will die for the Word of God protecting my wife and my sons and their sons and their wife,s. My wifes dwelling is her church, her sanctuary for yrs. Only in the Greek version of the English Bible does it use the word Christ. In the Aramaic translations the word christ never shows up there are only the words of God to male and females, the covering of the man is the woman who again has power from heaven the words of God. 11:5 And every woman who prayeth or prophesieth having her head uncovered, dishonoureth her head, for she is similar to one whose head is shaven. This refers back to the Old Testament to Delila where she betrayed Samson. Samson lost his covering and gave into temptation. It is saying she gave up her nature her strength given to her from God . She was made from the bones of man simply means she is as stronger than the man in the spiritual realm. Man had to have life breathed into him ie the Woman by and with the Words of God. 11:6 For if a woman be not covered, let her be shorn; but if it be shameful for a woman to be shorn or shaven, let her be covered. shorn–she lost her power her belief in one God and if she finds it shameful return to the covering of the Lord. 11:7 For a man is not obligated to cover his head, because he is the likeness and the glory of Aloha; but woman is the glory of man. Man has free choice to do what he wants to do because he is in the image of God, he has knowledge of good and evil. Woman is the glory of man the keyword (is) she has the strength of Samson for she is the Woman of God’s Creation. The mother of the living one the helpmeet of God for man. She births the man and has the pains of childbirth for a time and a time and a half. 11:8 For the man is not from woman, but the woman is from man. The man was created from the dust the Woman has the strength of man in the spiritual realm of her nature. 11:9 Neither was the man created for the sake of woman, but woman for the sake of man. 7I have caused thee to multiply as the bud of the field, and thou hast increased and waxen great, and thou art come to excellent ornaments: thy breasts are fashioned, and thine hair is grown, whereas thou wast/naked and bare. 8Now when I passed by thee,(you) and looked upon thee, behold, thy time was (Gen)the time of love; and I spread my skirt (covering of Gods words) over thee, and covered thy nakedness: yea, I sware unto thee, and entered into a covenant with thee, saith the Lord GOD, and thou becomes mine. 9 Then washed I thee with water; yea, I throughly washed away thy blood(mens sins) from thee, and I anointed thee with oil. 10I clothed thee also with broidered work, and shod thee with badgers’ skin, and I girded thee about with fine linen, and I covered thee with silk. 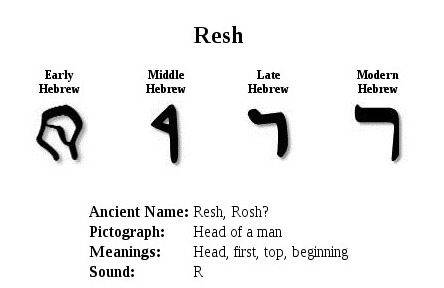 12 And I put a jewel on thy forehead, and earrings in thine ears, and a beautiful crown (Meshiha) upon thine head.